Then again, said enemy has just been discreetly welcomed back to Amazon.com for Chromecast and Chromecast Ultra sales. These were halted more than three years ago (when the Chromecast Ultra wasn’t even a thing yet), along with the Apple TV, as both streaming device lineups lacked Prime Video functionality. That’s still not a guarantee, unfortunately, especially when you consider that Amazon did promise it would go back to carrying Chromecasts... about a year ago. Keep in mind that the ugly war between these two tech giants also caused some collateral damage to the Echo Show, which couldn’t play YouTube videos for a while... until figuring out a browser workaround. 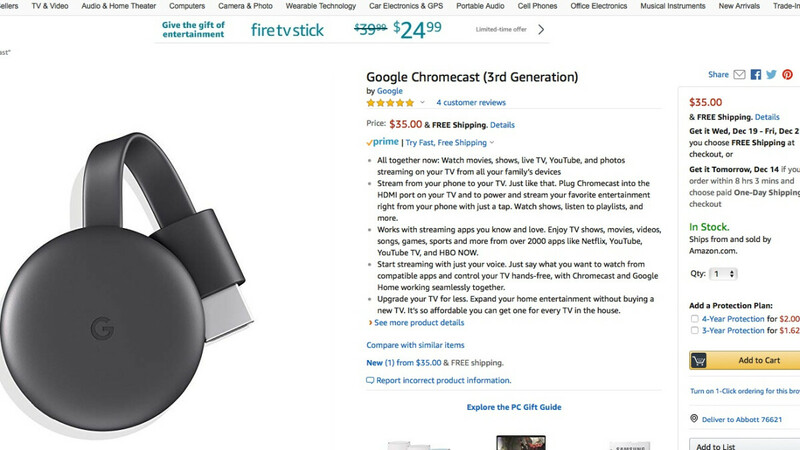 Bottom line, there’s no way to know what will happen next, but for the time being, you can add another major retailer to the already long list of Chromecast endorsers.